The Mining Engineering Co Ltd (Meco) works was originally based at Moorfields near Sheffield but during 1925 it moved to a new site on the Bromyard Road at Worcester on the east side of the Worcester & Hereford Railway. The firm specialised in the manufacture of mining rescue apparatus and compressed air drills, conveyors and other equipment. The firm expanded to occupy other nearby sites and established a world-wide market for conveyors and bulk materials handling machinery. The company was founded in 1909 and installed its first Belt Conveyors in 1912. 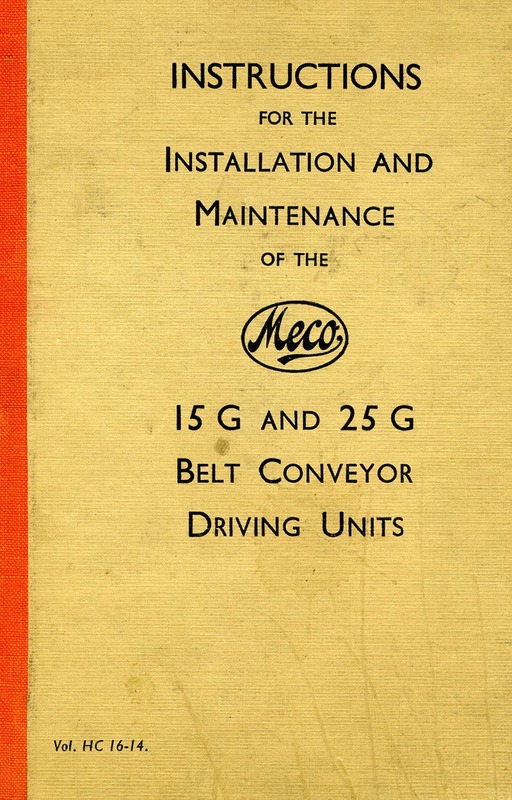 The two photographs above are the front cover and inside title page of a typical manual showing how to install and maintain one of Meco's staple products. In this case for a top loading coal face conveyor belt. There old manuals are quite scarce and this one was spotted by an eagle eyed MIAC member on a bric a brac stall at Abergavenny Market for the bargain price of 10p. In 1927, a standard gauge siding was laid alongside the main line from Henwick to the original works. Two cranes were used to enable wagons to be loaded. 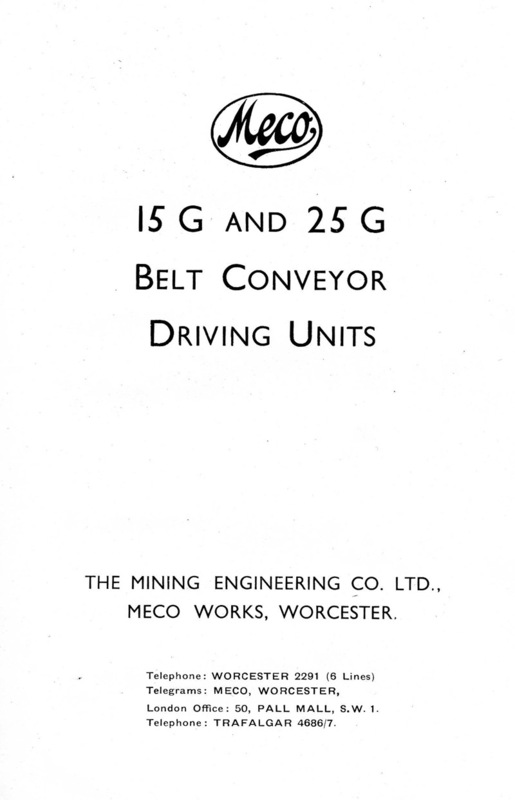 Meco was sold to the Dowty group in the 1970s and became part of the Joy Mining Machinery division of Joy Global Inc, Warrendale, Pennsylvania, U.S.A. This company was established by Joseph Joy in 1919. A narrow gauge (2'0" railway served the works but being on a higher level than the main line the locos could not be viewed from the train. 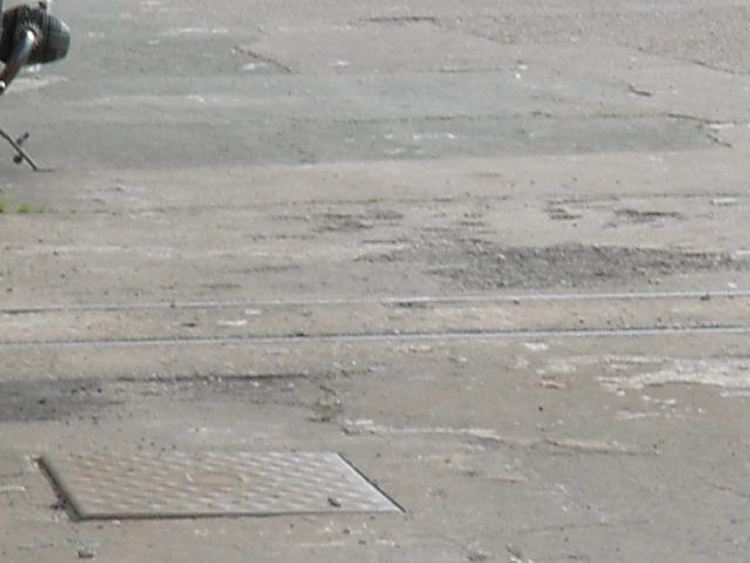 The railway was still in use in May 1976 when it was reported that there was a small track layout in the yard for taking containers of paint between shops. However the internal railway closed later the same year. 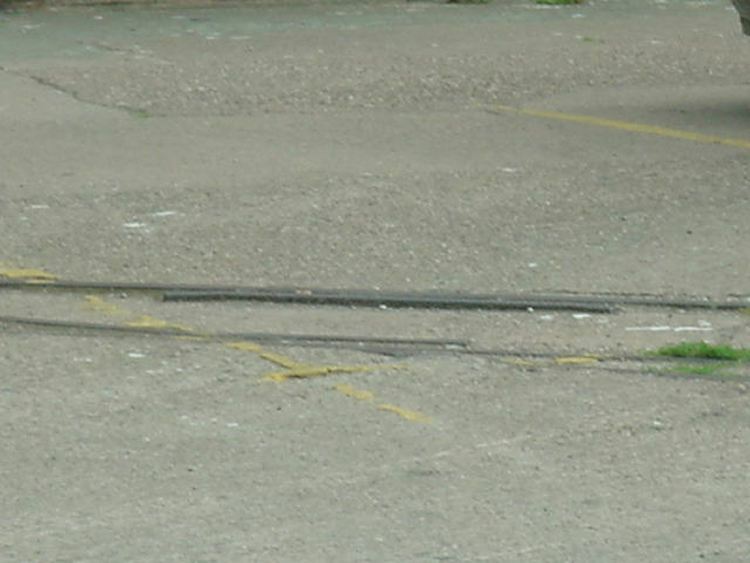 Subsequently the original works was closed and demolished and a tenpin bowling alley and fitness centre was built, but some narrow gauge track was still evident in August 2004. 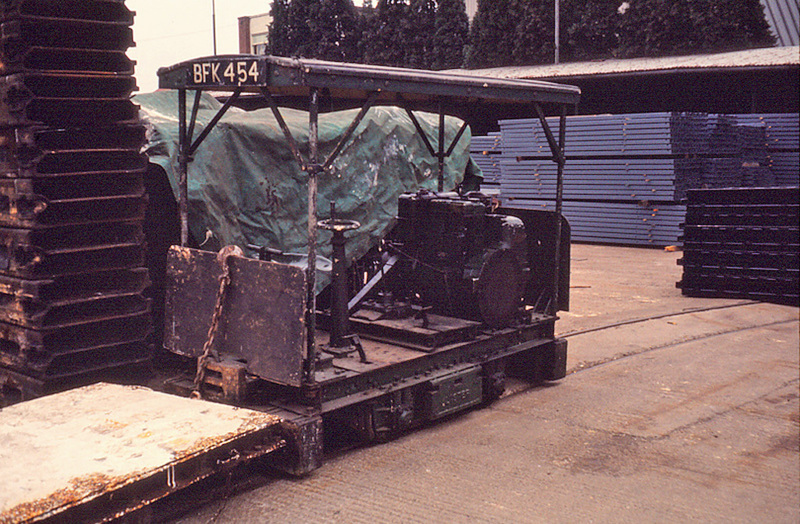 4wDM Lister 28039 of 1945 carried the road registration BFK 454 as seen in the above image of the locomotive stabled in the yard. (Photograph taken by Pete Wilcox). Both locomotives were delivered new to this site. 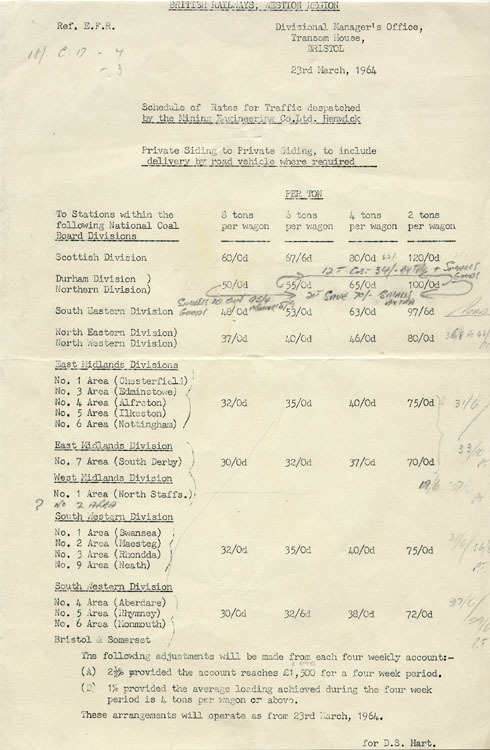 This is the first page of a lengthy document produced by the Bristol Division of the Western Region in 1964. It details the schedule of rates for delivery of Meco products to various parts of the National Coal Board. Reference: Worcester Official Guide, 1966 Edition which contains an article on the activities of Meco and a number of photographs.